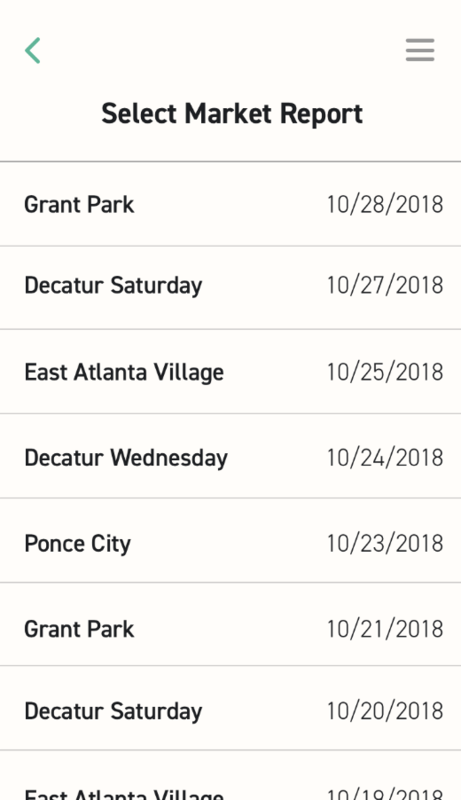 Many farmers markets in Atlanta accept EBT credit, but they have to use a government-regulated system to distribute this credit, and not all farmers market vendors can have access to these systems. 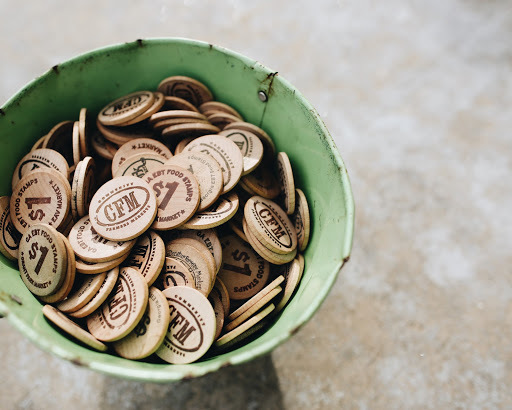 Thus, the farmers market management has to circumnavigate this system by exchanging credit for wooden tokens, which allow EBT users to buy food from vendors with these tokens. 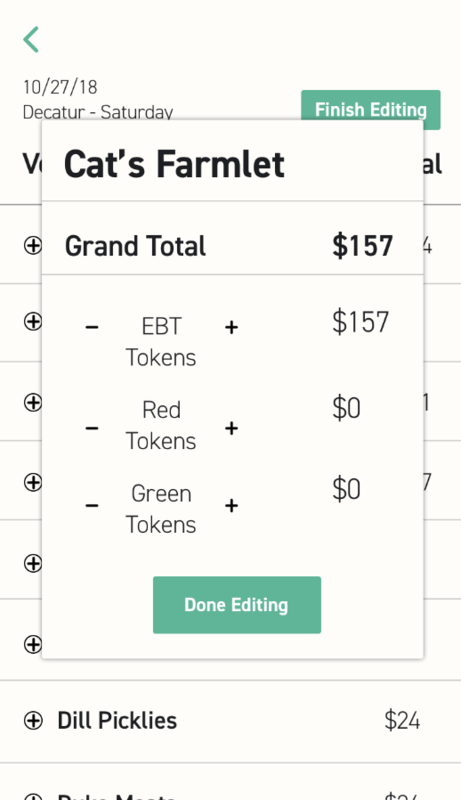 While this token system is very straightforward, it is also cumbersome, prone to loss, and invites a lot of stigma for EBT users. 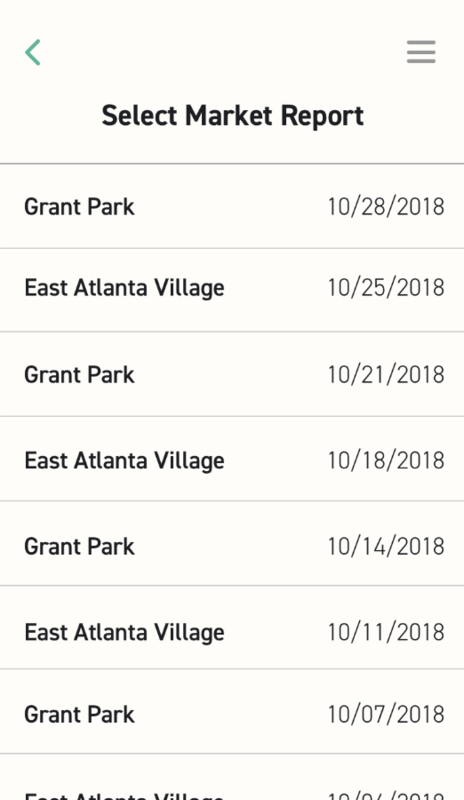 The managers of these markets also have to hand-write token amounts from each vendor and report them in a spreadsheet for vendor reimbursements, which takes time and is also prone to error. 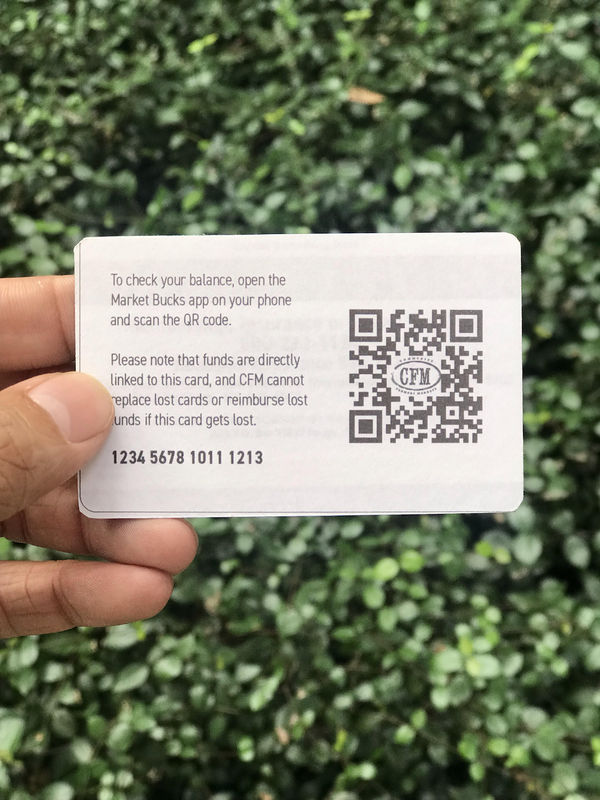 Our team reinvented the EBT process at Atlanta's CFM farmers markets by creating Market Bucks: a digital system which managers, vendors, and EBT users can use. 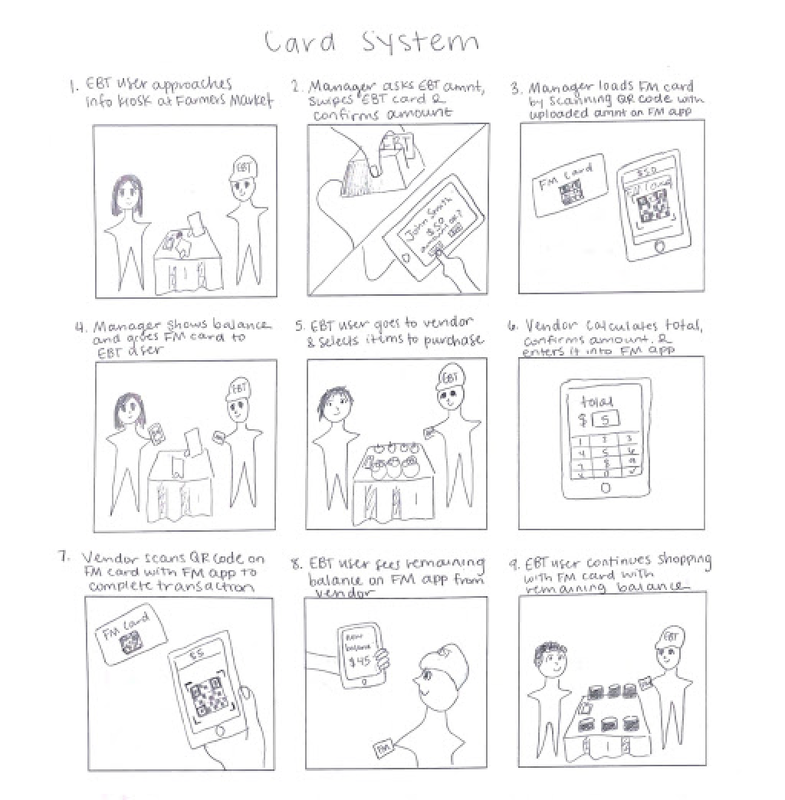 This system involves a card, much like a gift card, where EBT users can upload their EBT credit instead of using wooden tokens. 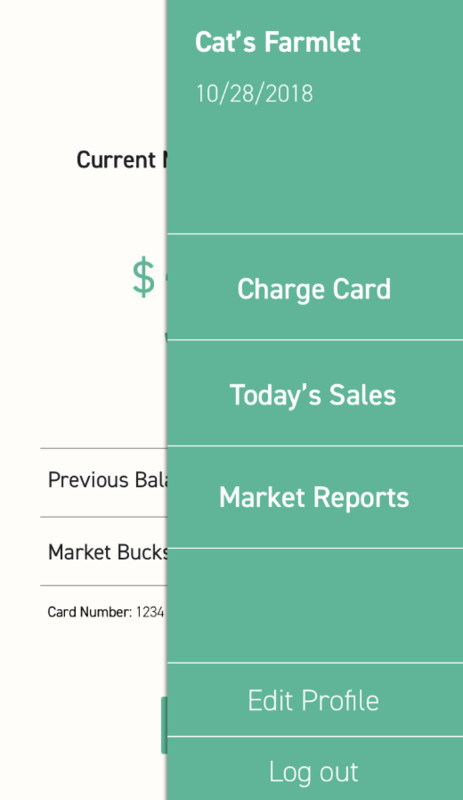 The card will also be charged using the Market Bucks app, and all transactions will be stored on our system, eliminating a lot of the reporting process that managers had to do in order to reimburse vendors for the tokens. 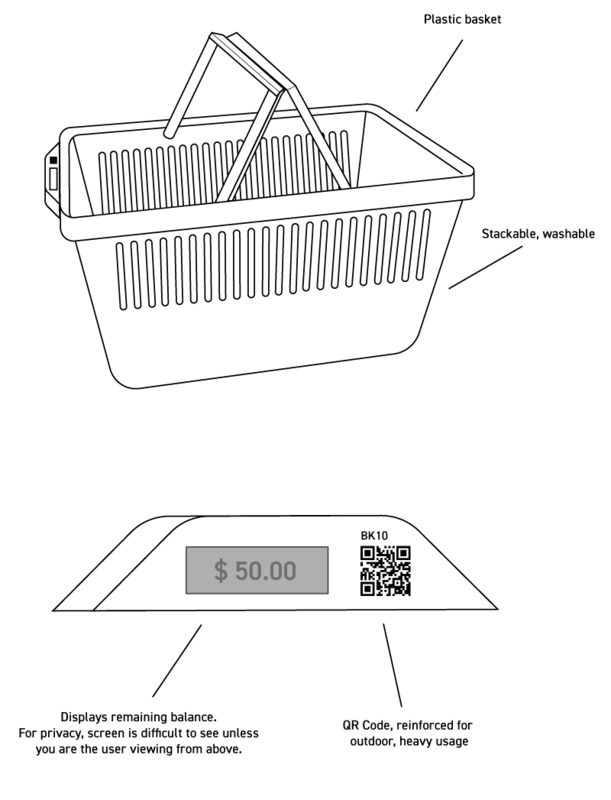 Overall, this solution makes the process a lot more efficient, decreases stigma felt by EBT users, and makes fresh produce more accessible to a large group of people. 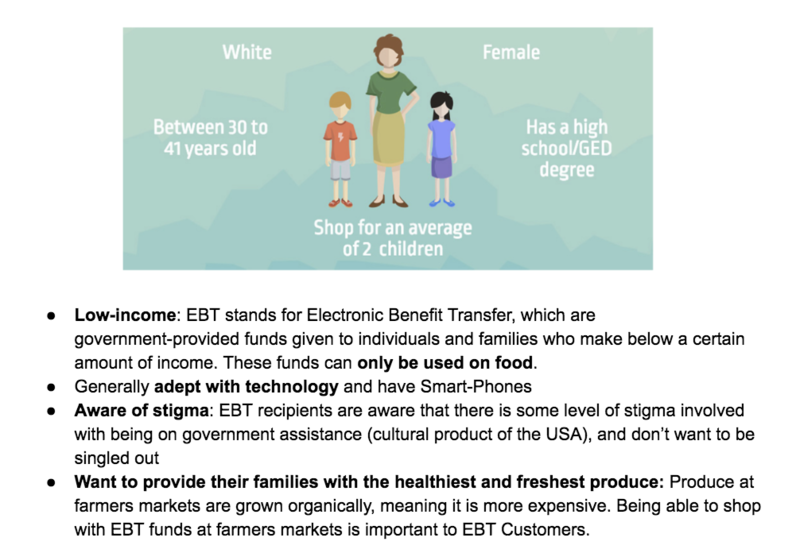 Below are images that we obtanied from our research on the EBT process at farmers markets, how it works, and the pain points associated with it. 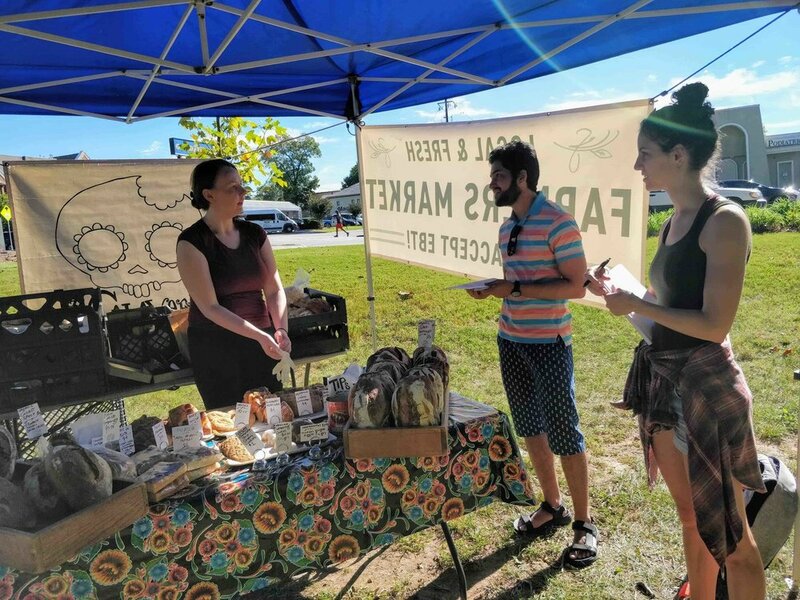 We conducted semi-structured interviews with market managers, vendors, and EBT users at a farmers market in order to understand an overview of frustrations with the system. 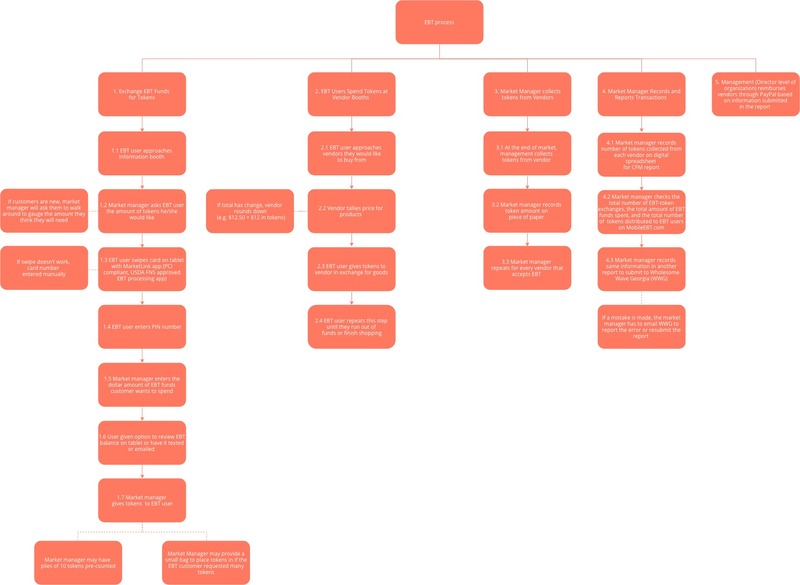 We used this data to construct our usability criteria and task analysis for the system. 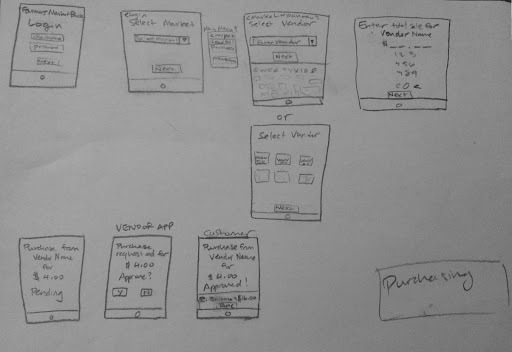 We brought our three alternate design ideas for EBT users to two farmers market managers, who gave feedback on these designs to help us choose which design idea to move forward with. 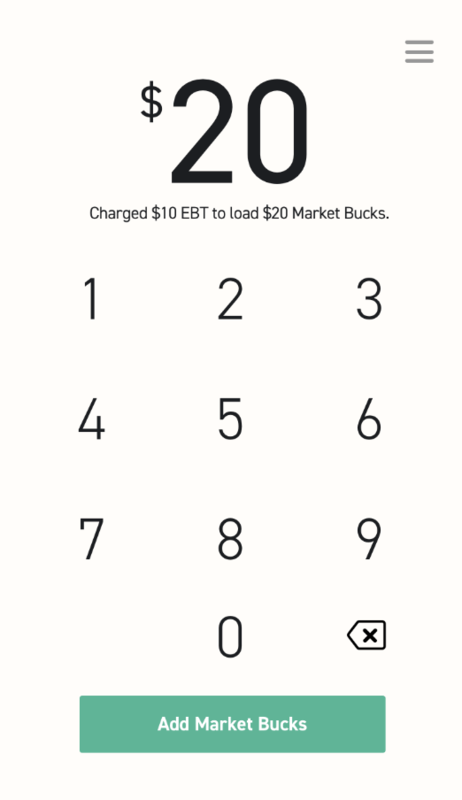 From this feedback, we decided to go with the Market Bucks card for EBT users. 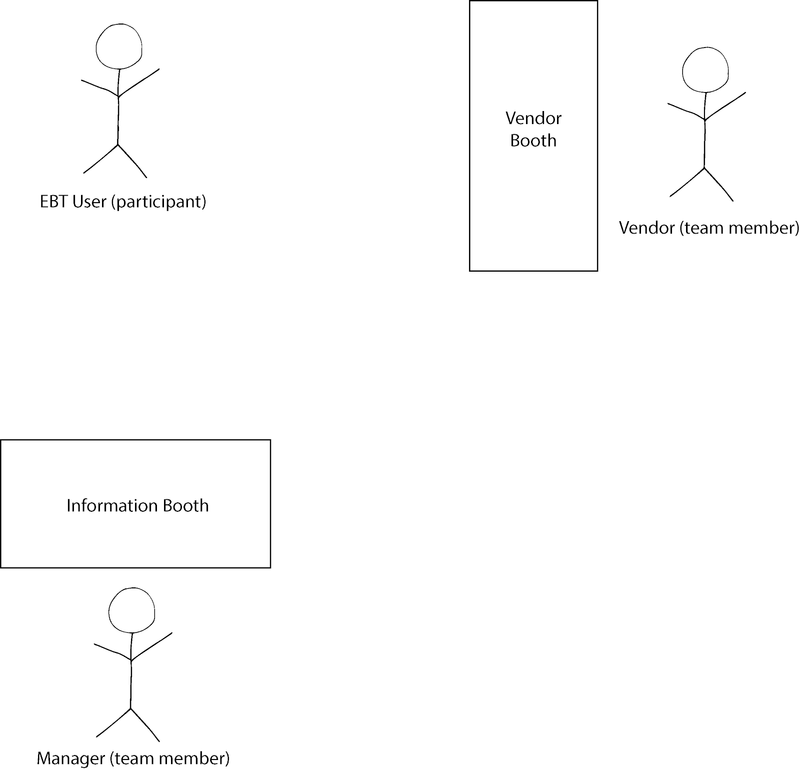 Market managers, who also knew of the perspectives of vendors and EBT users, ran through specified tasks on all three aspects of our systems. 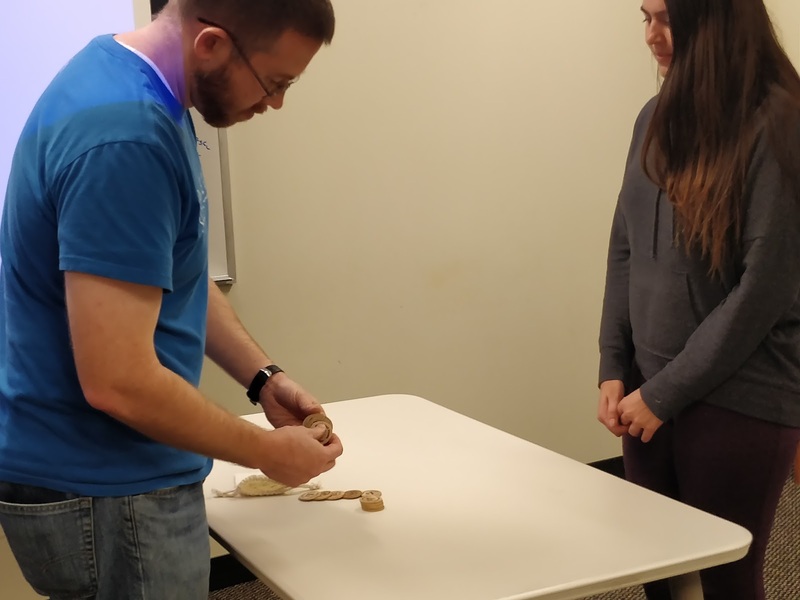 By thinking aloud while conducting the tasks, we gained feedback on if the system met the requirements for ease of use and understandability. 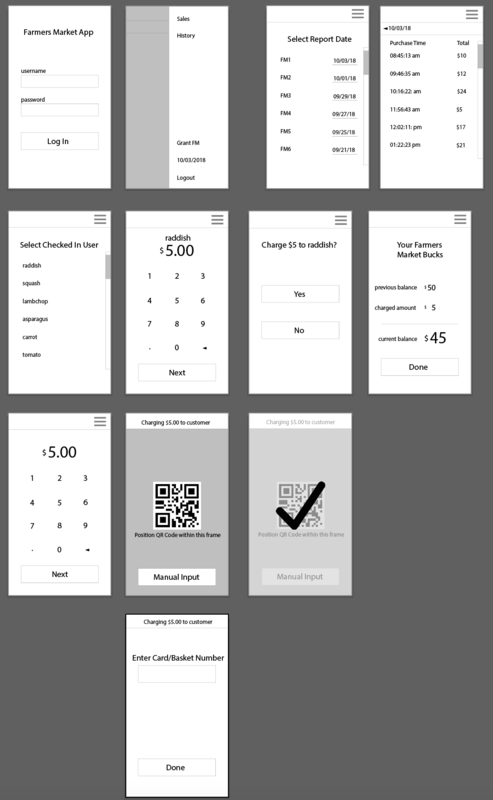 • Wouldn't "miscount tokens or lose them"
• What about refunds or correcting mistakes from charging the card the wrong amount? 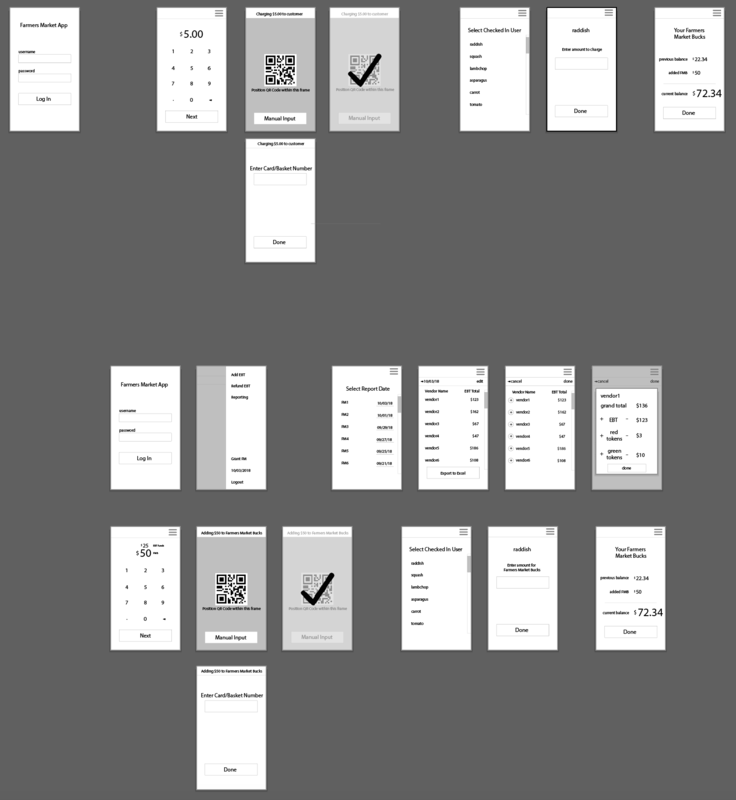 Consistency and standards: Card number text is a bit small - what would be the standard minimum size? 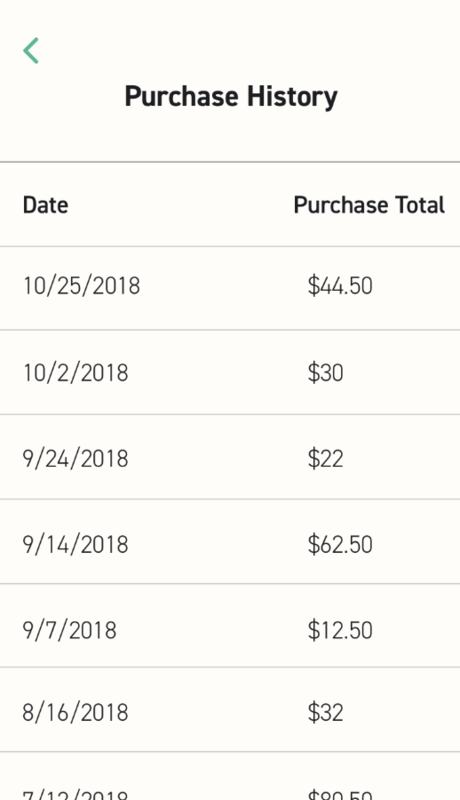 Error prevention: Was tempted to click "Market Reports" at first when navigating to "Today's Sales"
Aesthetic and minimalistic design: Didn't sense that the date could be clicked - maybe add an arrow? 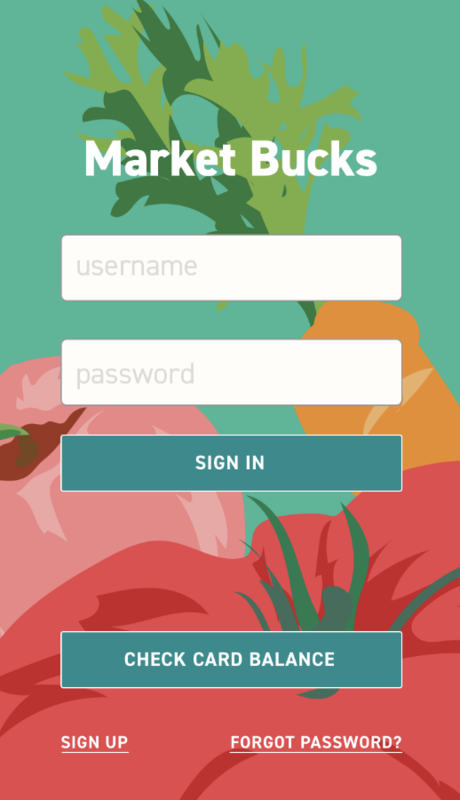 The mock farmers market was a simulation of how the Market Bucks card system would perform compared to the current token system in an environment similar to that of a real farmers market. 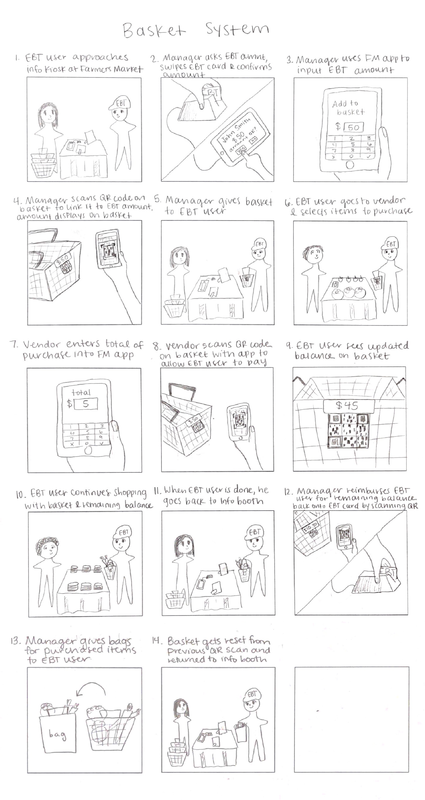 This evaluation method allowed us to collect qualitative data during the process of our participants using the Market Bucks card and the token system to compare tasks such as loading a card with EBT funds and purchasing an item at a vendor. 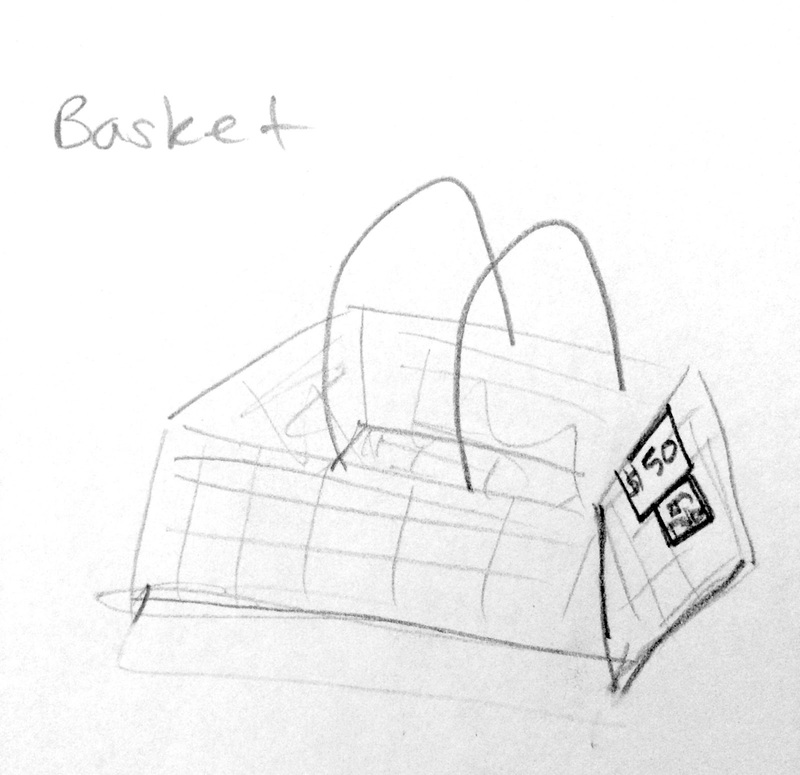 Two team members were mock managers and vendors, while one team member was a note taker. 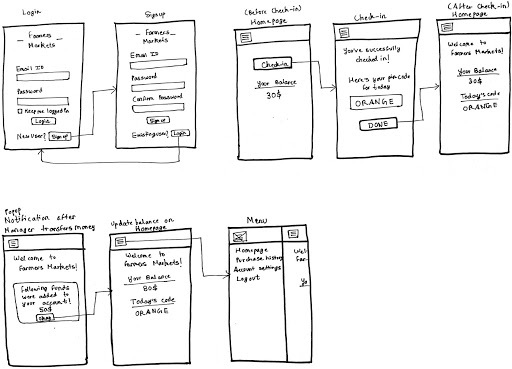 • Designing for multiple users in one system is hard, and it takes a lot of consideration from multiple methods in order to implement a system that meets the needs from lots of different users and criteria. 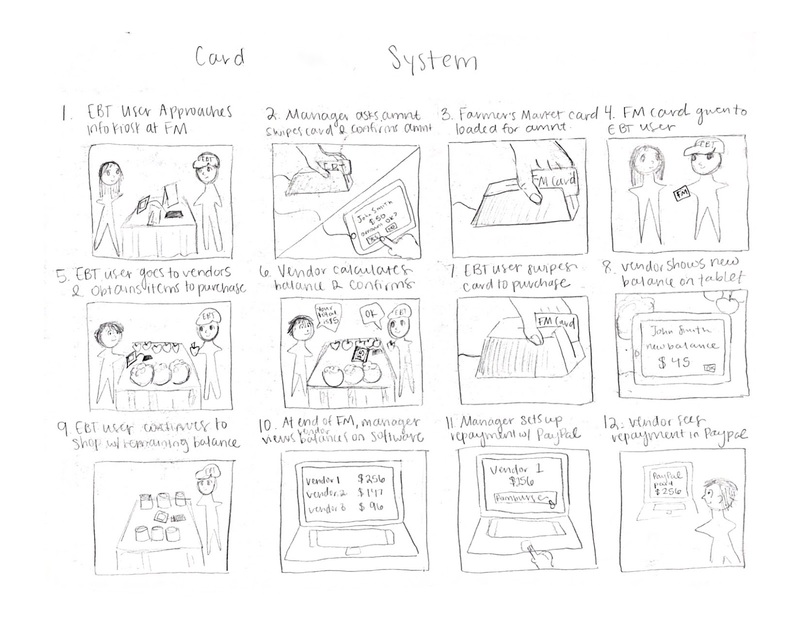 • Working under a strict context (such as this one, with limited internet capabilities, funding, and barriers to technology) means that you won't always be able to implement everything you would ideally want in a system for the sake of your users. 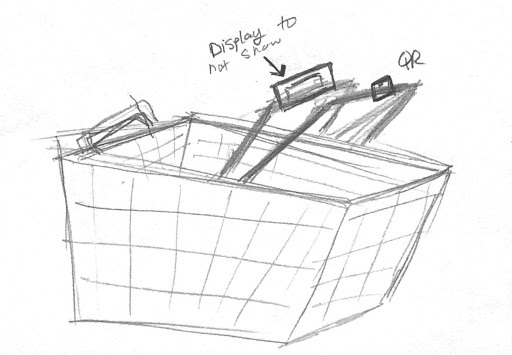 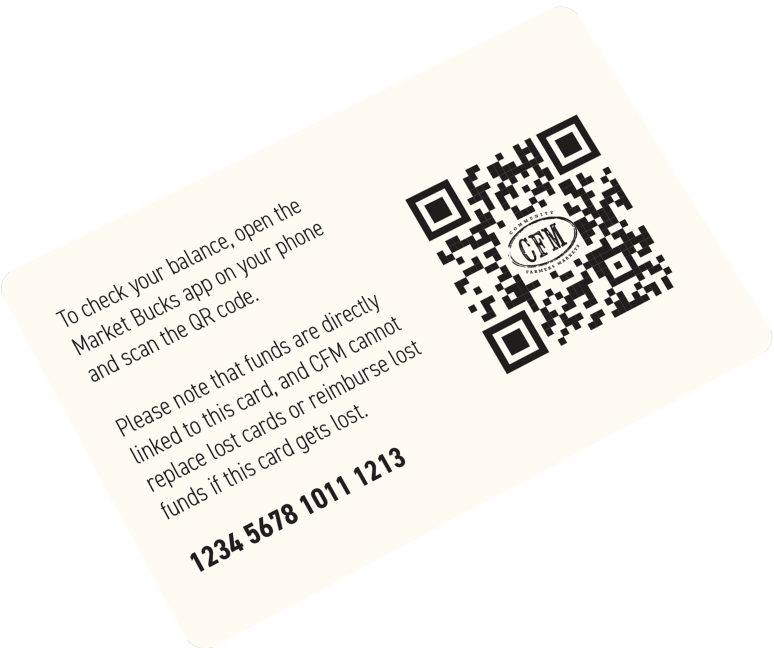 • Sometimes the simplest technological solution is the best one (found in the Market Bucks card). 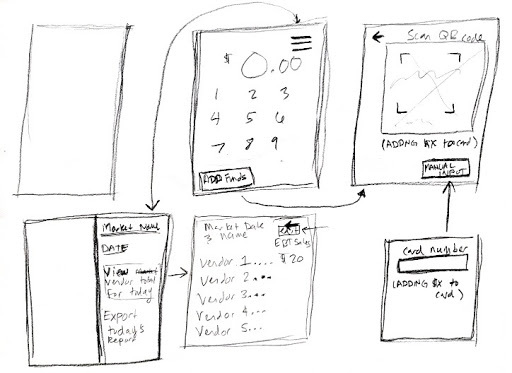 However, it will always take rich research and user feedback in order to decide which solution is indeed the best one. 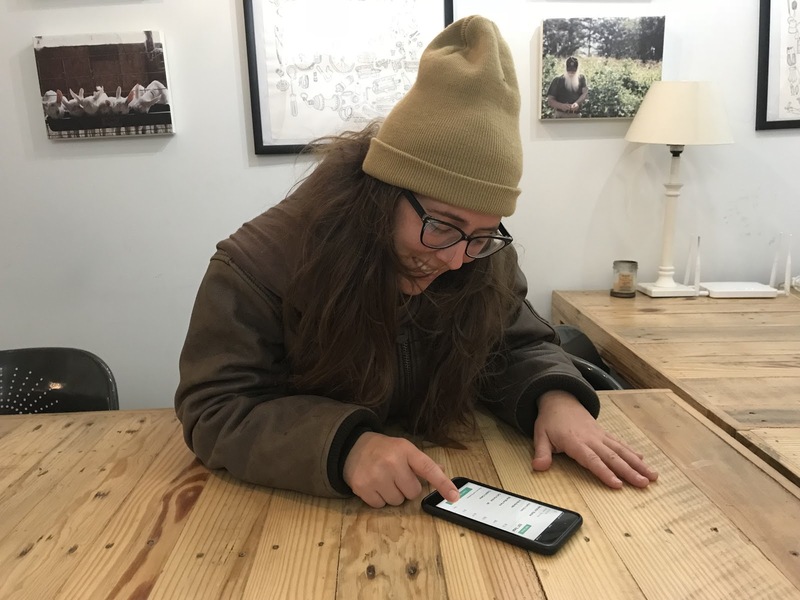 • How do we account for the limited internet connection in farmers markets? 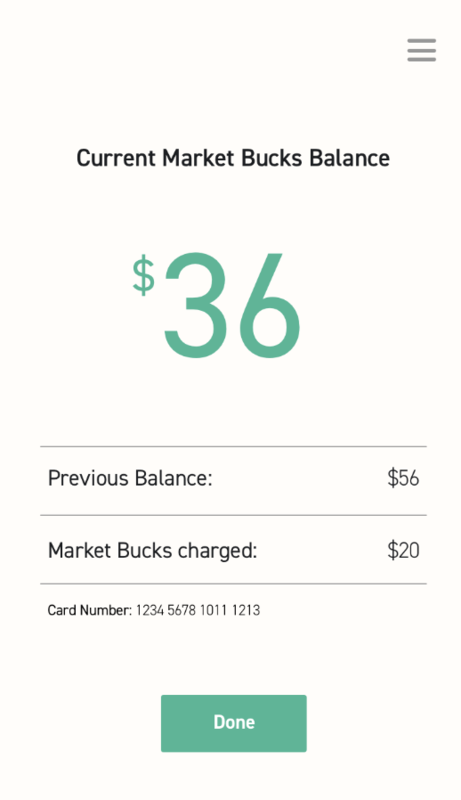 When the internet is down, how can we still take Market Bucks payments through the system? 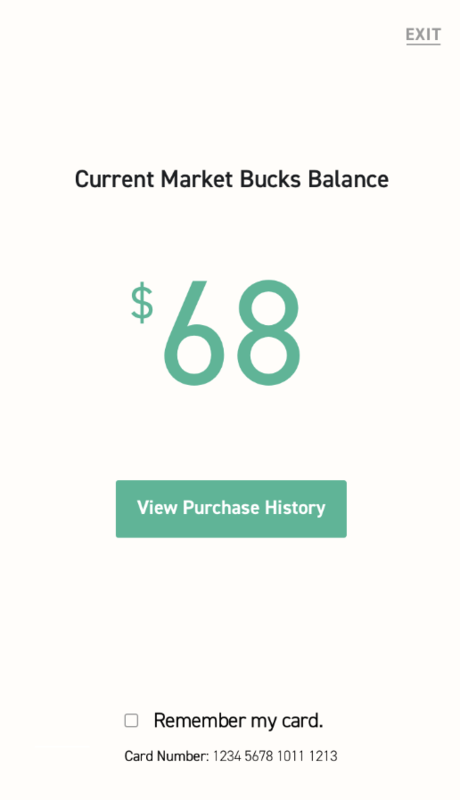 • While the Market Bucks system allows the EBT user to feel more like a regular card user, the colors on the Market Bucks card are still loud and unique with the title of the system on it. 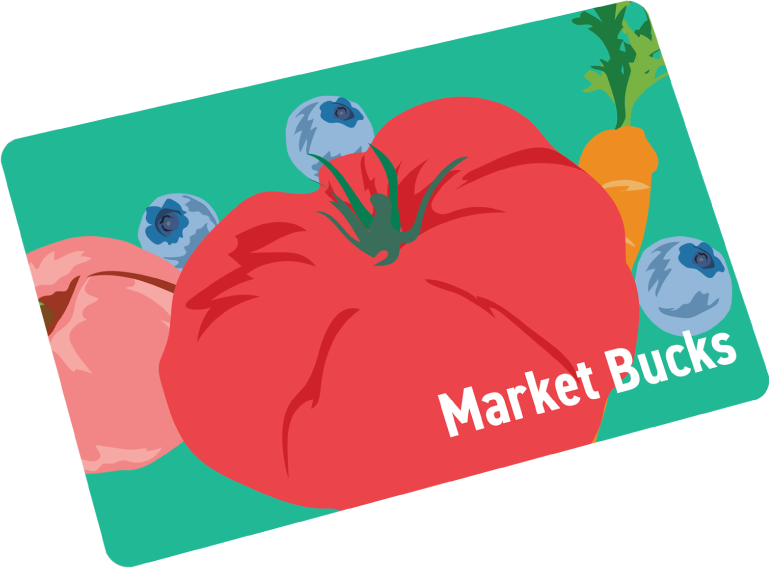 If other people catch wind that Market Bucks exists for the purposes of EBT, the card still might not take away from the stigma. 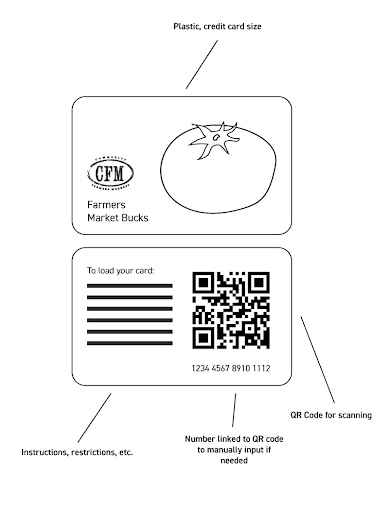 In the future, we would either make the design of the card more similar to a normal credit card, or expand the Market Bucks to generic farmers market gift cards so that the card would not be distinguishable between gift cards and EBT balances.